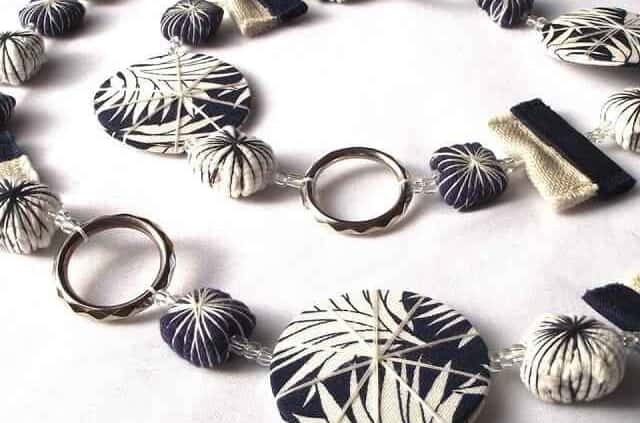 Innovative enterprise creating unique, authentic South African textile jewellery and accessories. Made from recycled materials such as plastic, glass and fabrics, these products are environmental friendly. 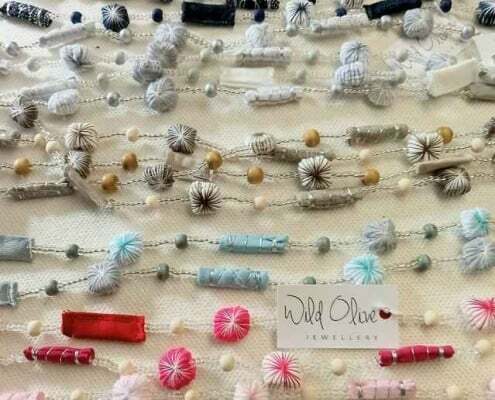 Wild Olive Jewellery is based in Wilderness, a lovely coastal village between Sedgefield and Victoria Bay. On the N2 route through the Western Cape Province along the equally lovely Garden Route. Designed and handmade by local women, thus creating job opportunities for women and mothers in a rural area where job opportunities are scant. 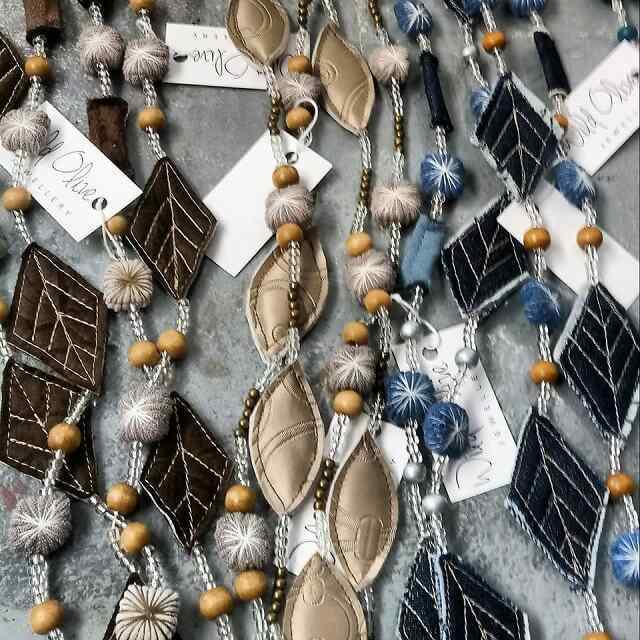 Nushka’s stunning handmade and proudly South African textile jewellery and accessories have become very popular over the years. 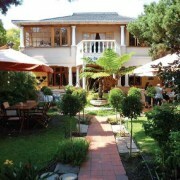 Shipments of the jewellery are regularly sent to outlets in Cape Town. These entrepreneurs also display their popular products at shows such as the SARCDA Trade Exhibition in Johannesburg and the New York Now Trade Fair. 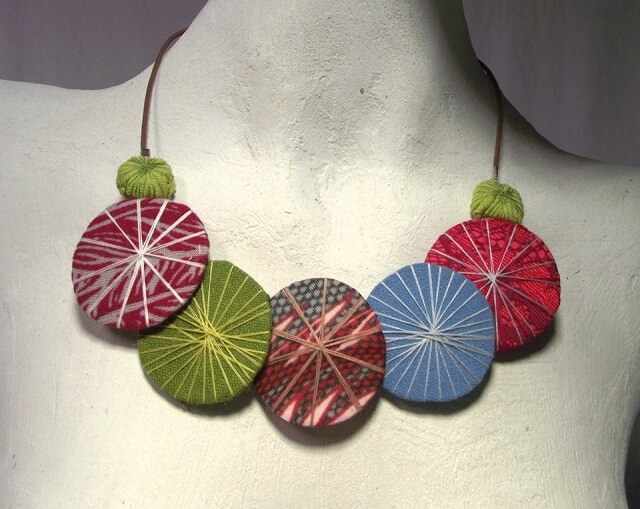 The inspiration behind creating fabric jewellery, Nushka Phillips, holds a diploma in textile design from the then Cape Technikon. 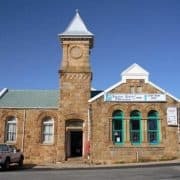 (Since 2005 this institution is known as Cape Peninsula University of Technology, or, CPUT) When she became a mother, she felt the need to work from her workshop at home. As a result she started experimenting in the workshop with pieces of fabric of different textures, patterns and colours. She eventually started the business in January 2011. The products developed and the business consequently expanded, creating much needed employment for other mothers. These entrepreneurs work from home or in the workshop where they are making their unique fabric beads and supporting themselves this way. Using their creative abilities and loving what they do, is also wonderfully rewarding way to support themselves and their families. 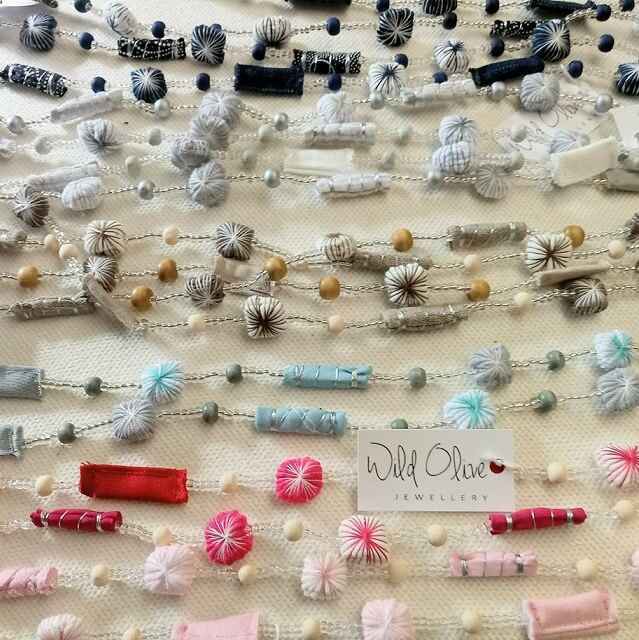 They make the beads they use to create the elegant necklaces from pieces of woven cotton or woollen material and even denim. These they cut in different small shapes/forms which they stitch together so that there is no back part of the material showing. On some they do top-stitching to resemble something, e.g., a leaf with veins, or simply to form a pattern of some kind. Furthermore they make use of traditional beads of various sizes and colours, wooden beads and glass beads, etc. Also small metal washers and metal rings of different shapes and sizes, scraps of leather, string, wool, and lots more recycled stuff. There is just no end to the possibilities for these highly creative and hard-working ladies. 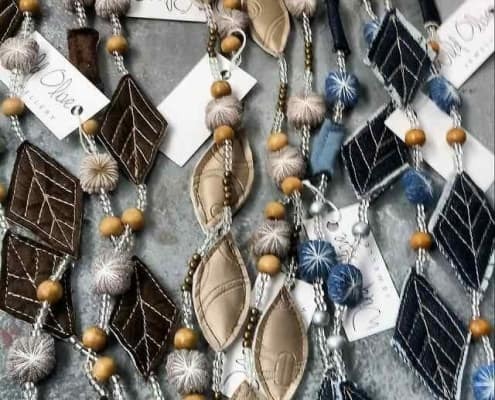 The handmade fabric jewellery and accessories consist of necklaces, earrings, bracelets, brooches as well as snoods, purses, other accessories and gifts. 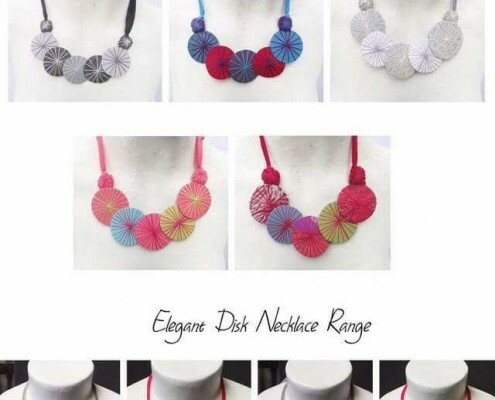 Their necklaces come in various ranges such as the material bead necklace long range and short range as well as the collar disk necklace range. 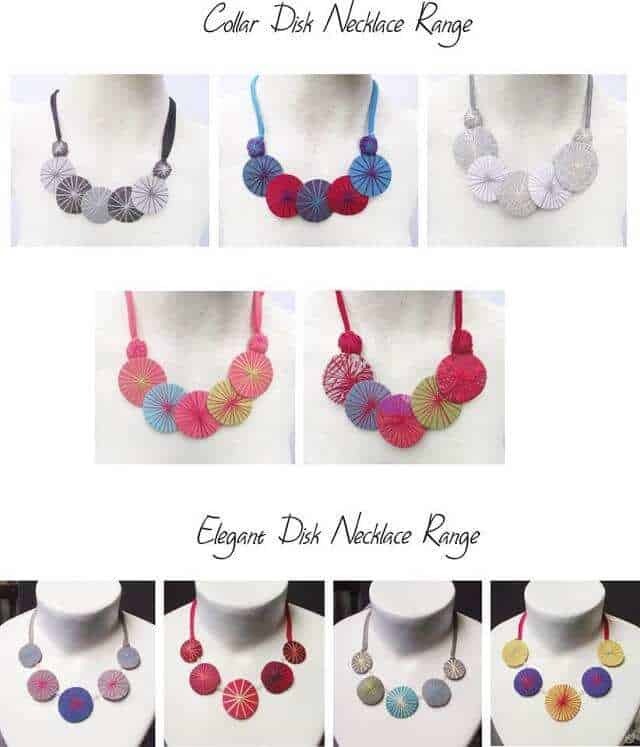 Also the elegant disk necklace range, the elaborate disk necklace range and the metal disk necklace range. Furthermore they offer a bracelet range, and their earrings range comes as disk earrings as well as stud earrings. They work hard to regularly offer new contemporary designs with new shapes and colours to suit the seasons. These creative and gorgeous handmade necklaces come in a large variety of beautiful colour combinations. There are bronze, browns, denims, some with a silver lining, greens as well as blue sea hues and sage. Also natural colours, spring or summer brights, black, silver, grey, stone, khaki, coral, chive and many more. 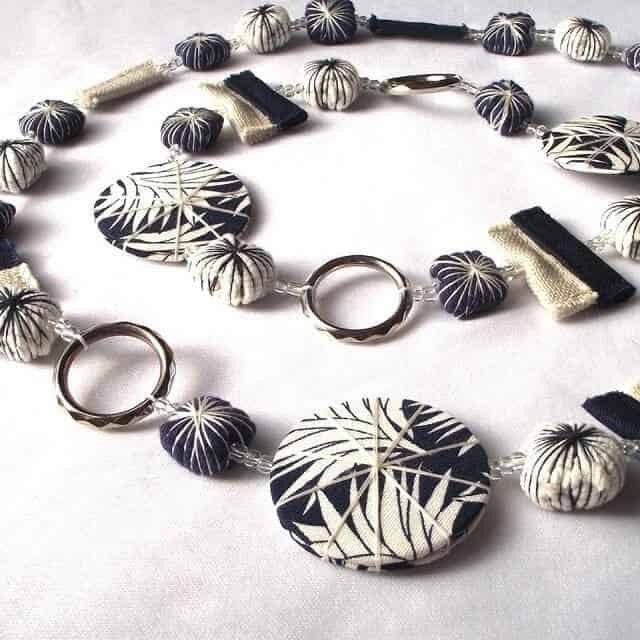 Interested in any of these lovely and unique handmade proudly South African textile jewellery? Nushka kindly invites you to drop them an email, or phone them right now! Innoverende onderneming wat unieke, outentiek Suid-Afrikaanse tekstiel-juwele en bykomstighede skep. Dit word gemaak van herwinde materiaal soos plastiek, glas en materiaal, so hierdie produkte is omgewingsvriendelik. 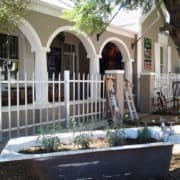 Die besigheid is in Wildernis op die Tuinroete in die Wes-Kaap. 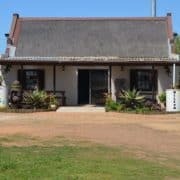 Die juwele word ontwerp en gemaak deur plaaslike vroue en moeders, dus skep dit werk vir vroue op die platteland waar werk so skaars is soos hoendertande. 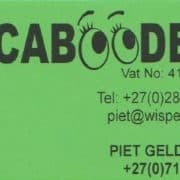 Hulle pragtige handgemaakte produkte het baie bekend en gesog geraak oor die jare. Daar gaan gereeld besendings na hulle afsetpunte in Kaapstad en hulle stal ook hulle produkte uit op skoue. Die inspirasie agter die materiaal-juwele, Nushka Phillips, het ‘n diploma in tekstielontwerp. Nadat sy self ma geword het, het sy die behoefte begin voel om van die huis af te werk. So begin sy eksperimenteer met stukkies lap van verskillende teksture, kleure en patrone totdat sy die besigheid in 2011 begin. 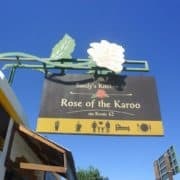 Soos die produkte ontwikkel het, en die besigheid uitgebrei het, moes sy hulp kry van dames in die omgewing. So skep haar besigheid dus werk waar werk uiters skaars is en stel sy ander vroue instaat om ‘n inkomste te genereer. 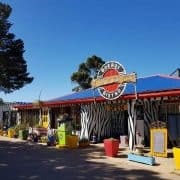 Hierdie groepie entrepreneurs maak die krale vir hulle hangers van stukkies katoenmateriaal of wollap en so ook denim. 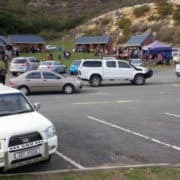 Dit sny hulle in ‘n verskeidenheid klein patroontjies wat hulle twee-twee aanmekaar stik sodat die agterkant van die materiaal nie wys nie. Verder gebruik hulle ook regte krale van hout en glas en so meer, verskillende kleure en vorms. So ook metaal wassers en ringetjies, stukkies leer, wol, garing, tou en baie meer. Hierdie kreatiewe vroue maak hangers, oorbelle, armbande, borsspelde, beursies, haar- en nekbande (snoods) en so meer. Die hangers, oorbelle en armbande kom in verskillende reekse en so ook kleurkombinasies. Hulle werk hard om gereeld nuwe ontwerpe aan te bied en so juwele aan te bied wat eietyds is.